Tri-Dosha Ayurvedic Botanical Hair Oil. 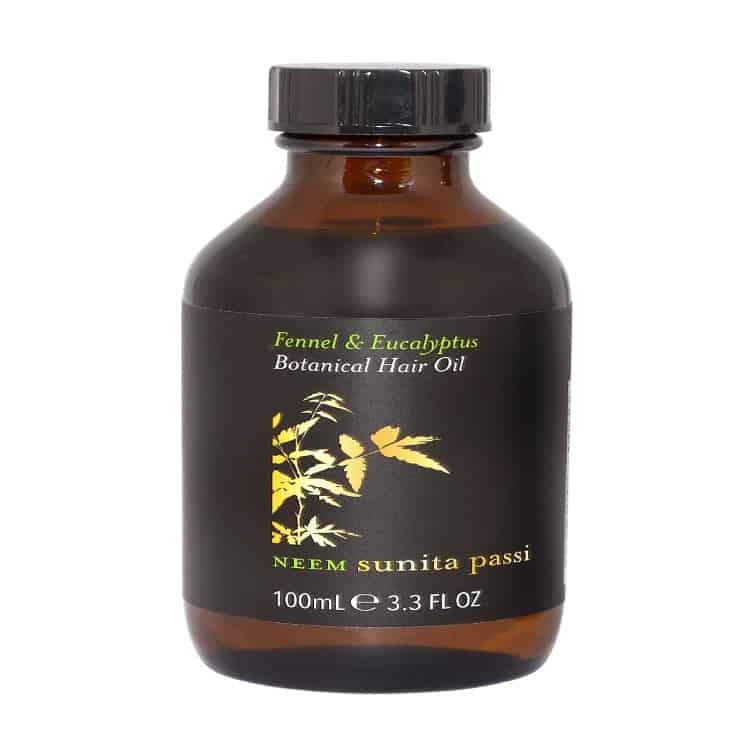 Unique hair formulation containing a distinctive blend of therapeutic essential oils of fennel and eucalyptus along with cold pressed plant oils and packed with Vitamin E.
All combined together to rejuvenate lack lustre hair to its natural beauty. Effectively helps repair damaged hair and also works well to nourish dry hair and itchy scalps. Helps strengthen roots and awaken hair follicles. Active ingredients: Fennel & Eucalyptus. Coat a few drops through your strands to lock in supple, shiny and robust hair. This luscious and lightweight blend of fennel and eucalyptus nourishes your scalp and hair from root to tip Ð promising to soothe your senses owing to its rich aroma.